What a beauty blue waterleaf is! It’s a thorny wetlander in full bloom now–or even a little past–in the shallow water of swamps, ponds, and ditches. A mass of plants in a road ditch can be bright blue enough to turn heads in passing cars doing 60. The species is common in south Arkansas and in the Arkansas River valley. 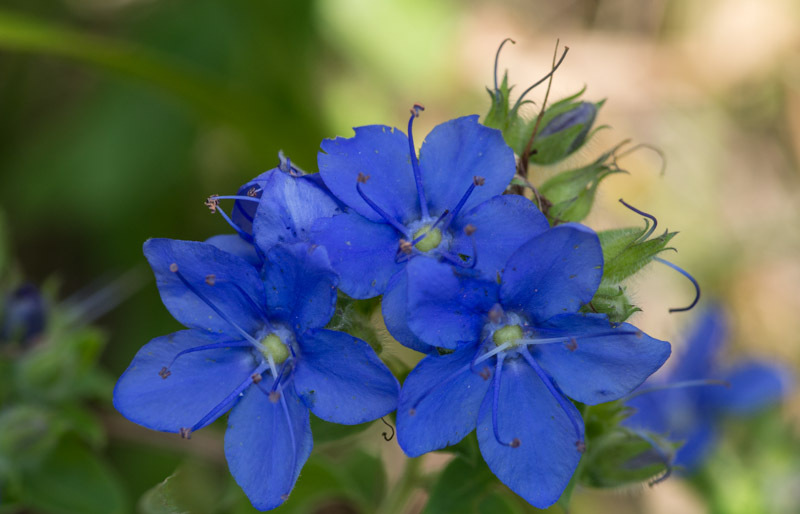 This entry was posted in Native Plants, Plant Alert, Wildflowers and tagged Blue waterleaf, Boraginaceae, Hydrolea, Hydrolea ovata. Bookmark the permalink.